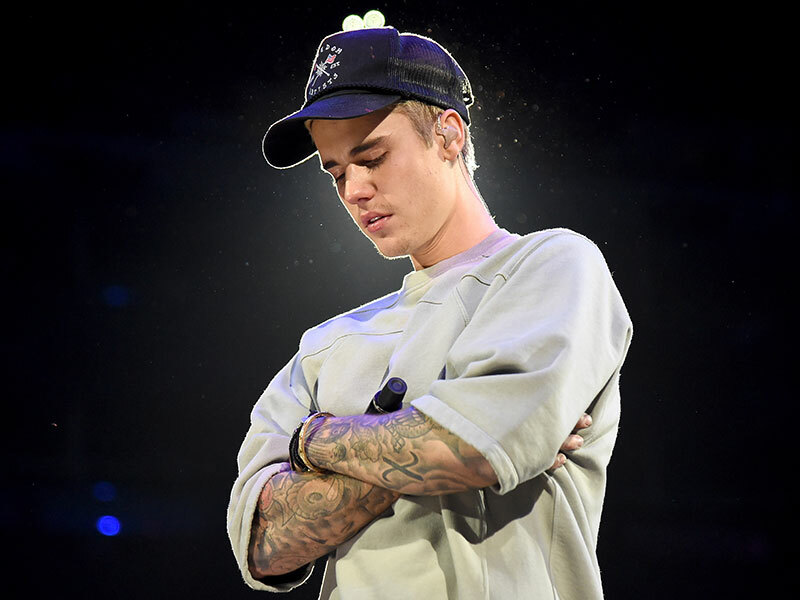 (P1) What’s going on with Justin Bieber? As People reports, he’s been acting very oddly while in Massachusetts for a concert this week. On Tuesday, he was seen walking barefoot in Boston Public Garden, feeding squirrels, lying in the grass, and taking selfies. That night at his show, “He was in a glass box onstage. He was literally in a glass case of emotion,” one concertgoer says. “He didn’t even try. At one point he just stopped singing altogether.” The following day, he was seen in the Boston Public Garden again; this time, he climbed a large tree and sat in it “listening to headphones … with his arms up in the air, “People says. (P2) “That’s the real Justin,” a source assures TMZ, noting that all this behavior should not actually be considered strange because Bieber just loves the outdoors. But consider that Bieber also told fans this week he would no longer take pictures with them … and he got a face tattoo. Are you a fan of Justin Bieber? Why or why not? In your opinion, do you think his behavior is strange or odd? Why or why not? Have you ever been to a music concert? If so, who did you see? If not, would you like to go to one? Does your country have its own traditional music? If so, describe it.